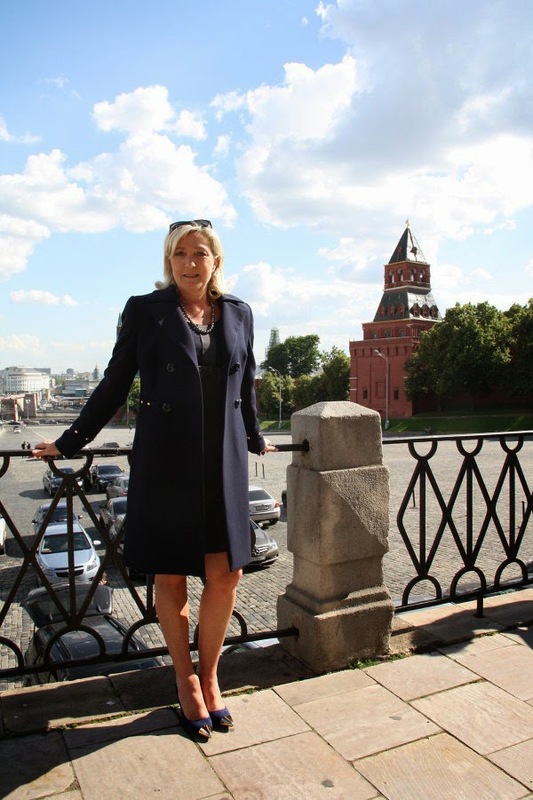 Writing for Mediapart, Marine Turchi reveals that the far right French Front National (FN) has secured, already in September this year, a 9 million Euros loan from the First Czech-Russian Bank (FCRB). The party led by Marine Le Pen has already received 2 million Euros. The information on the loan to the FN, according to Mediapart, has been confirmed by a member of the FN's political bureau. This development supports my earlier argument that "European right-wing extremists seem to benefit financially from their cooperation with the Kremlin". As the FN's treasurer Wallerand de Saint-Just explained, the party had been trying to borrow money from a number of French, European and US banks, but was unsuccessful. Eventually, the FCRB proved to be more sympathetic to the French far right cause. "Why not a Russian bank? ", asked Christian Bouchet, FN's officer in Loire-Atlantique, French publisher of Russian fascist Aleksandr Dugin and former leader of the National Bolshevik Nouvelle résistance group. "Money does not stink", he added, referring to Roman Emperor Vespasian's justification for a tax on the distribution of urine from public urinals in Rome. Mediapart names several individuals from the French and Russian sides who might be involved in mediating between the FN and the FCRB. A member of Le Rassemblement bleu Marine Jean-Luc Schaffhauser, whom I already mentioned twice in this blog, might have introduced Marine Le Pen, during her confidential trip to Moscow in February 2014, to Alexander Babakov, former leader of the far right Rodina party and Vladimir Putin's envoy for engaging with Russian organisations abroad. Following this meeting, according to Mediapart, the NF's leader might have met with Putin himself. While I admit the possibility of Schaffhauser's and Babakov's mediation between Le Pen and Putin, I doubt that Le Pen really needed assistance from either Schaffhauser or Babakov: already in June 2013, she met with the Russian parliament chairman Sergey Naryshkin and deputy prime minister (and former leader of Rodina) Dmitry Rogozin who were in position to introduce her to Putin. It is true, of course, that the cooperation between representatives of the Russian regime and the French far right has expanded in the recent months. In particular, Aymeric Chauprade, adviser to Le Pen on geopolitical issues "observed" the illegal "referendum" in Crimea and took part in an anti-LGBT gathering in Moscow; at the end of May this year, Chauprade and Marion Maréchal-Le Pen participated in the secret meeting of European far right activists in Vienna where they met with Dugin, Russian ultranationalist artist Ilya Glazunov, and Russian right-wing businessman Konstantin Malofeev; in November, Jean-Luc Schaffhauser "observed" the fake "elections" in East Ukrainian regions occupied and terrorised by (pro-)Russian right-wing extremists. Turchi's investigation is an invaluable contribution to the discussion of the cooperation between Putin's Russia and the European far right, yet it leaves open the question as to what links the FCRB to the Russian authorities. The FCRB has an interesting history that may shed light on this question. It was founded in 1996 with the assistance of the now-defunct Czech IPB bank, that - as Jiri Kominek writing for The Jamestown Foundation asserts - "was a legendary nexus of asset stripping and money laundering" and "often accused of illegally funding [...] the two largest and most influential parties in the country". The original objective of the FCRB was "to service foreign trade turnover and investment projects in Russia and the Czech Republic". Until 2002, its charter capital belonged to Czech companies and the bank itself was marginal in Russia. However, at the end of 2002, the bank doubled its charter capital thanks to the investments of Stroytransgaz, a Russian engineering construction company (Mediapart correctly links the FCRB to this company), and, shortly afterwards, Roman Popov (head of Stroytransgaz's financial resources directorate in 1992-2002) was appointed chairman of the board of the FCRB. Stroytransgaz kept increasing the bank's charter capital and, according to Vedomosti, Stroytransgaz owned 94,5% of the FCRB's charter capital already by summer 2003. In 2003, the head office of the bank moved from the Czech Republic to Russia. However, the bank still operated in the Czech Republic and, in 2009, the Czech BIS security service and UZSI foreign intelligence service expressed their concern that the FCRB "could have ties to Russian intelligence, or organised crime elements, which given the current state of affairs in Russia often makes it difficult to distinguish between the two". 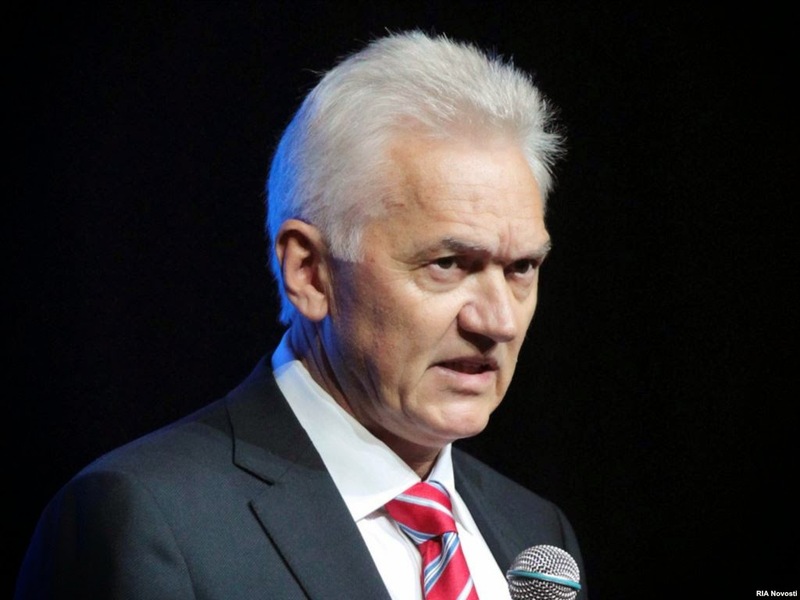 The majority of the shares of Stroytransgaz is owned by companies and holdings that belong to Gennadiy Timchenko, a major Russian businessman from Putin's inner circle. According to The Wall Street Journal, US prosecutors have recently "launched a money-laundering investigation" of the activities of Timchenko and Gunvor Group Ltd. that Timchenko co-founded in 2000. As the same source argues, "US officials have previously said that Mr. Putin has investments in Gunvor". Naturally, the US have also imposed sanctions on Timchenko and Stroytransgaz, in response to Russia's annexation of Crimea in March 2014 and its ongoing aggression in Eastern Ukraine. The bottom line here is that the FN has received a loan from a company that is very closely linked to Putin and is owned by an individual under the US sanctions. This seems to retrospectively "justify" the FN's pro-Putin stances and its blatant anti-Americanism. 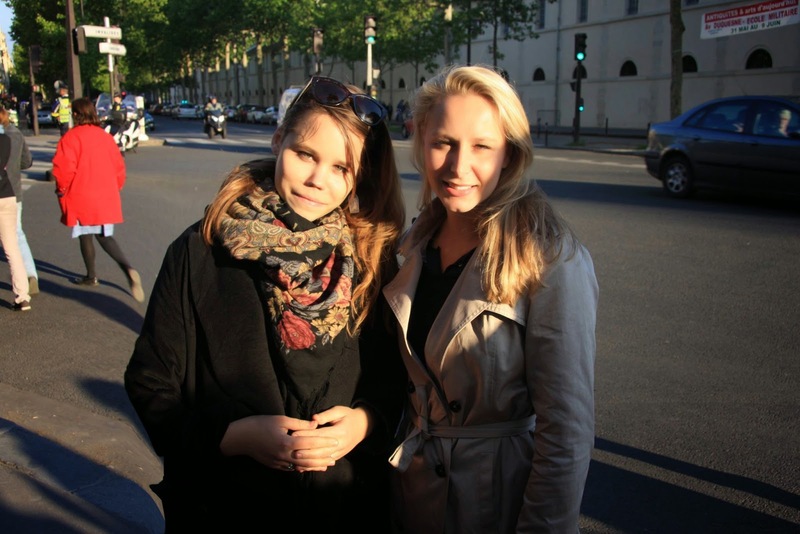 The most vocal supporters of the delivery of the Mistrals to Russia are, quite expectedly, members of the FN. 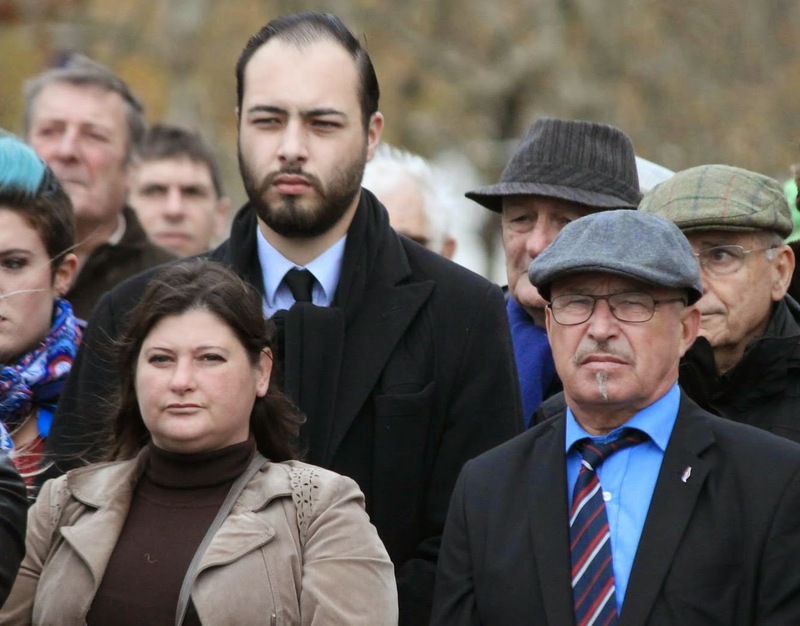 Local FN members in Saint-Nazaire, where the Mistrals are based, including Gauthier Bouchet (son of Christian Bouchet), Jean-Claude Blanchard and Stéphanie Sutter, have even set up a tiny group of supporters called "Mistral, gagnons!" that is vigorously lobbying for the Mistral deal with Russia and, therefore, its aggressive agenda in Europe. Marine Turchi's important piece for Mediapart concludes with a note that French investigators have already launched an inquiry into the funding sources of the FN. We can only hope that similar initiatives are undertaken in other European countries too, especially in Austria, Hungary and Bulgaria.